Simply hit "PLAY" for a guided tour; or walk through the home virtually. Terrific retreat with park-like 3/4 acre of woods and pond with beautiful outdoor pool. 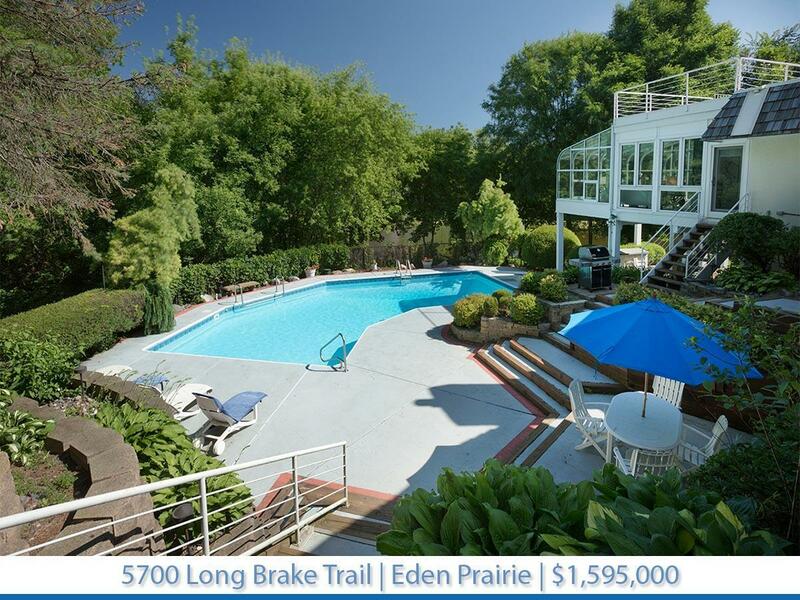 Extensively remodeled with new kitchen/family room/solarium, living and dining rooms open to expansive deck. Great opportunity to invest in a beautiful home in Eden Prairie!